If you are an instructor and have an assignment for your students that requires research, you can inform the library of the assignment to make us aware of what students may come looking for. We will make sure to be prepared for these students, knowing what resources to direct them to and how to serve them most efficiently and beneficially. Tours of the library can be a wonderful way to introduce children and young adults to all the library has to offer. Contact us to schedule a library tour for your class or group. Young people’s staff travel to different schools and events to engage children and youth in library activities and nurture their love of reading. These speaking programs may be scheduled through the Young People’s Department at the library. If you have specific topics for students to read and/or study, you can contact us at the library to arrange for these resources to be set aside, ensuring that they are available when students come. We can gather resources specific to a topic and hold them at the Circulation Desk for you to review and check out at your convenience. ​Learning and instruction are like a great big construction project. They take the right tools. 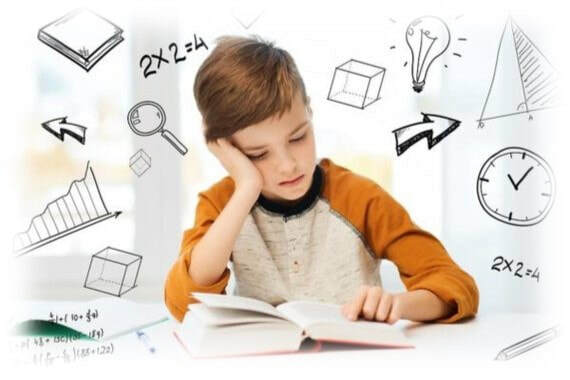 The Young People's Department has a specific collection of these tools, featuring resources on child development (including children with special needs and teenagers); instruction in reading, language, math, science, and social studies; learning games and activities; and more. ​Whether you are looking for materials to provide extra help in a subject area, homeschool curricula, books that offer fun things to do with your children to engage them in learning, or books that help you understand your children, the Learning & Instruction Tools collection is designed with you in mind. Have you seen our multi-item kits? Multi-item kits include 3-4 titles of both fiction and nonfiction works on the subject, providing learners opportunities to learn the facts and engage in the stories that make learning come alive.